﻿ Company profile,Baoji Towin Rare Metals Co., Ltd.
Baoji Towin Rare Metals Co., Ltd is invested by Beijing Fuheng Investment Co., Ltd. with total investment capital RMB ten million. 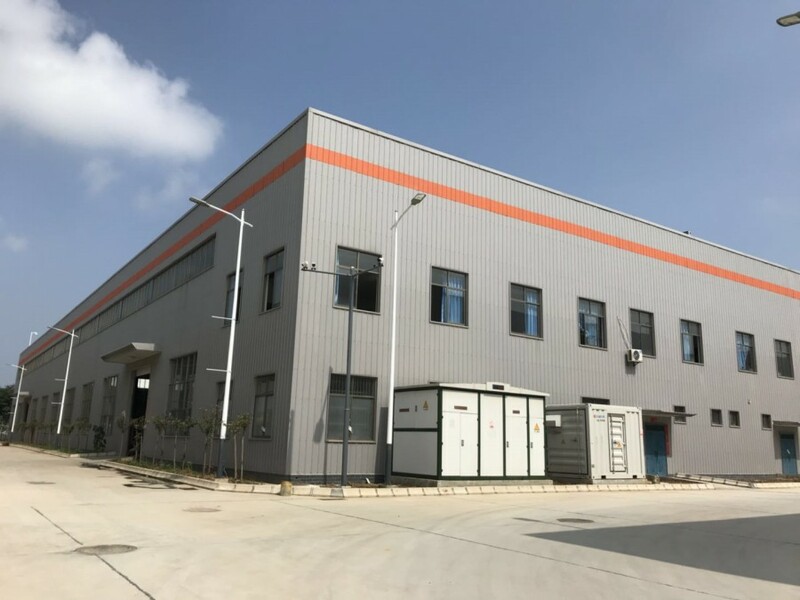 Our company is located in Caijiapo Economic Development Zone in Qishan county Baoji city, Shaanxi province, P.R China; 200m away from Qishan High-speed railway station which provides convenient transportation. We concentrate on smelting and deep processing of tantalum and niobium rare metal material and alloy. Moreover, the founder of Towin Rare Metals takes more than 20 years' experience in tantalum/niobium and its alloy smelting and deep-processing technology. Guided by customers’ needs, we customize the products and we are honored to be a Hi-tech enterprise integrated by R&D, manufacture, technology, services, marketing and international trade. We now own core equipment such as domestic advanced EB furnace, high vacuum Annealing Furnace, plate and strip rolling mill, High precision surface grinding machine , milling machine, sawing machine and the inspection equipments. Furthermore, we customize the right products according to the needs of any client with high expected quality products and services. We mainly produce tantalum/niobium ingots, tantalum/ niobium sputtering targets, tantalum/niobium plates and sheets, tantalum/niobium strips and foils, tantalum/niobium rods/wires, tantalum/niobium seamless tubes, tantalum/niobium fabricated parts etc. The products are widely used in electronic industry, semiconductor coating industry, optical glass, anti-corrosion industry, superconductivity materials industry, military heat-resistant alloy material industry etc. We have been exporting the products to countries and regions such as America, Germany, Korea, Canada, Japan, Taiwan etc. Our key technical personnel are senior technical professionals who have been dedicated to tantalum /niobium processing for over two decades. We have been verified by ISO 9001 Quality Management System Authentication. Guaranteed by full-rigged equipment and advanced technology, we have entered into a strategic partnership alliance with the biggest hydrometallurgical plant of tantalum and niobium smelter in China, which assures us stable raw material supply advantage. In line with “people oriented, quality first, sincere service, environment protecting and win-win cooperation”, we devote ourselves to tantalum and niobium deep processing and recycling economic development together and we supply technology and products cooperation at home and abroad depending on “Perfect Products, Outstanding quality, Superior Service, Excellent Management, Great Reputation”. We will fully take a branding strategy to build our TOWIN brand to earn recognition. The annual production of tantalum and niobium metal and their products is aimed to amount to more than 100 metric tons and we will strive for rank top three in tantalum and niobium domestic market. Our company with all the staff warmly welcomes all friends at home and abroad to visit our plant and to give us your valuable suggestions. Towin Rare Metals will be honored to hand in hand with old friends and new customers to create a win-win brilliant future.